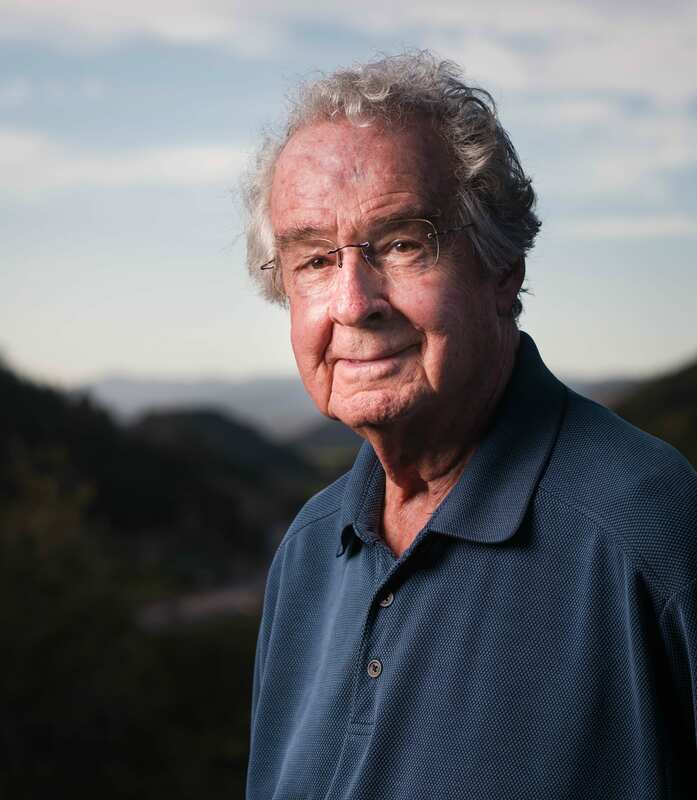 Warren Winiarski, grape grower, winemaker, land preservationist and philanthropist has gifted $3.3 million to build the most comprehensive collection of wine writers’ works in the world at the UC Davis Library. The library — with a world-renowned wine collection — has a bold vision to build the world’s greatest collection of papers and materials from prominent wine writers. With this gift, the library will grow its collection of storytellers who influence both the wine industry and public appreciation of wine, making their work accessible to a global audience. Broadly defined, wine writers include wine book authors, editors, wine journalists and critics, wine columnists, bloggers and other editorial wine content creators. The foundational collections include the papers of Hugh Johnson, Jancis Robinson, Charles Sullivan and Bob Thompson. As it grows, this collection will provide a unique vantage point on the history of wine in California, America and beyond. Wine writers shine a light on the people and places in wine culture, industry and science — moving beyond regions, varieties of wine and ratings to influence the aspirations, choices and styles of winemaking and grape growing. They offer unique and panoptic insights into what made the wine industry what it is today. Just as important as new technologies and scientific breakthroughs, the richer understanding afforded by wine writers may influence excellence in winemaking and wine appreciation. Dedicated to preserving the heritage of wine and its international cultural importance, Winiarski envisions his gift will leverage the work of these writers so they can be used to create better wines in perpetuity. The influence of that influx of vocabulary into the winemakers’ vernacular cannot be overstated, according to Winiarski. He credits wine writers, especially those from Great Britain — which was considered to be a relatively neutral wine producing country — with creating the vocabulary winemakers needed to accurately and adequately pursue creating great wines. In addition to the gift, Winiarski established and endowed the Warren Winiarski Wine Writer Collection Fellow, a two-year appointment responsible for curating, managing and promoting the library’s wine writer collections. The position affords an opportunity to connect the collections to new users and new research. According to University Librarian and Vice Provost of Digital Scholarship MacKenzie Smith, Winiarski’s gift will help solidify the UC Davis Library’s position as “the greatest wine library in the world.” The library holds more than 30,000 wine books and special collections of rare manuscripts, maps and imprints dating back as far as 1450. It also includes papers and books from wine notables including Robert Mondavi, Leon D. Adams and Roy Brady, among others. Warren was motivated to make the donation to UC Davis because of the university’s strong international reputation in viticulture and enology, coupled with the library’s innovative approach to archiving and digitizing its collections. Born in Chicago, Illinois to decedents of Polish immigrants, Winiarski’s last name literally means “son of a winemaker.” Growing up, his father made honey wine and fruit-flavored wine at home that the family drank on special occasions. During his studies at the University of Chicago, Winiarski spent a year in Italy (1954–55) studying the political thinker Niccolo Machiavelli. While there, he was introduced to wine and learned to enjoy it as a daily accompaniment to meals rather than a special-occasion-only beverage. With this new discovery his thoughts began to turn from a career in academia to becoming a grape grower and winemaker. In 1964, Winiarski and his wife Barbara moved to Napa Valley, California. Within three years he went from apprentice at Lee Stewart’s Souverain Cellars to being appointed Robert Mondavi’s first winemaker. In 1970, he planted his first Napa Valley Cabernet Sauvignon vineyard in a former prune orchard, and six years later his Cabernet Sauvignon won the Judgment of Paris, a blind tasting pitting Californian wines against venerated French classics, judged by the most esteemed sommeliers, vineyard owners and wine experts France had to offer. TIME magazine sent reporter George Taber to cover the event; Taber has since credited the Americans’ win with breaking “the myth that only in France could you make great wine. It opened the door for this phenomenon today of the globalization of wine.” The Judgment of Paris is widely credited with putting Napa Valley and California on the global wine map for the highest quality wines. Over the years, Winiarski has become known for much more than the iconic 1976 win. He is an avid land preservationist, supporting the 1968 Napa County Agricultural Preserve and Napa Open Space District, and he has donated six conservation easements to the Land Trust of Napa County, protecting almost 200 acres of wild land and vineyards. 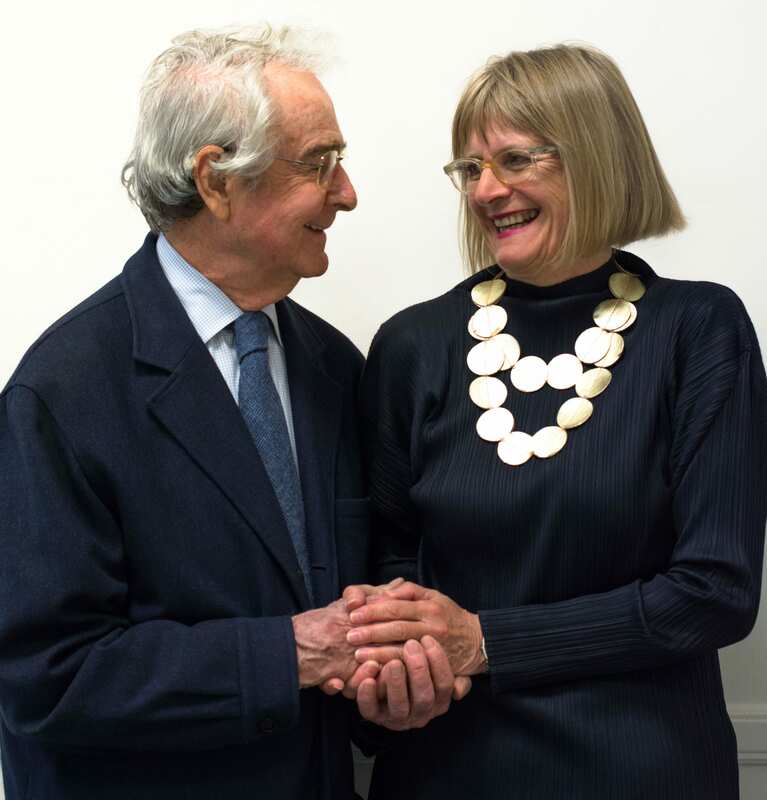 In 1996, Winiarski and his wife Barbara initiated and provided generous support for the Smithsonian Institution National Museum of American History’s American Food & Wine History Project. The project uses food and wine history as a lens for understanding American history and to trace the long and diverse history of wine in the United States. A bottle of the award-winning 1973 Cabernet Sauvignon is on display in the museum’s permanent collection. It is also included in The Smithsonian’s History of America in 101 Objects, by Richard Kurin, the Smithsonian Institution’s Under Secretary for History, Art and Culture. 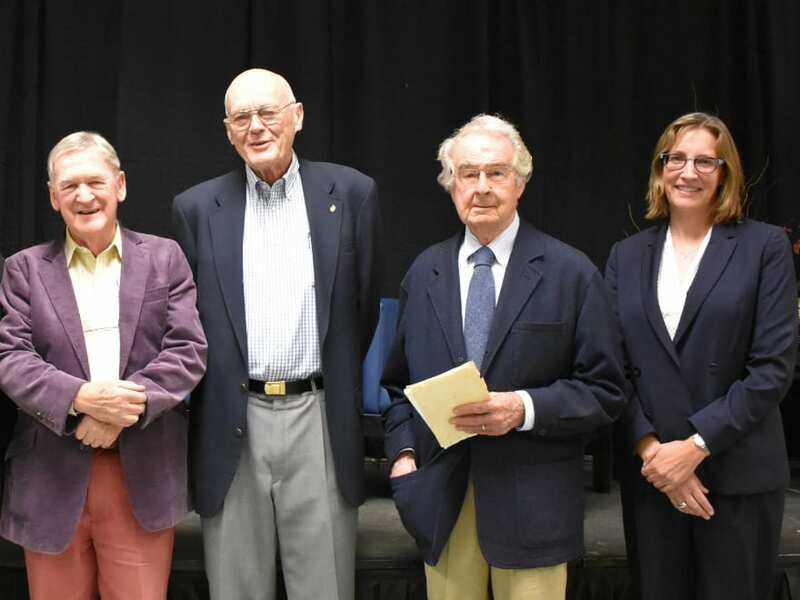 In continuation of his mission, the Winiarski Family Foundation’s gift to the UC Davis Library will preserve and increase access to the library’s collection of works from some of the world’s most prominent wine writers. Winiarski still farms his Arcadia Vineyard in the Coombsville AVA of Napa Valley, growing Cabernet Sauvignon, Chardonnay and Merlot. He was inducted into the 11th Class of the California Hall of Fame in December 2017.